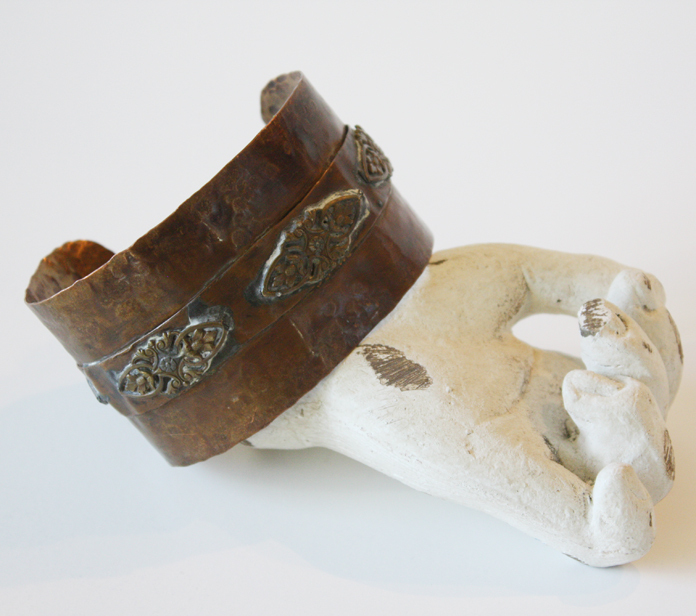 This is such a gorgeous vintage style hammered copper bracelet. 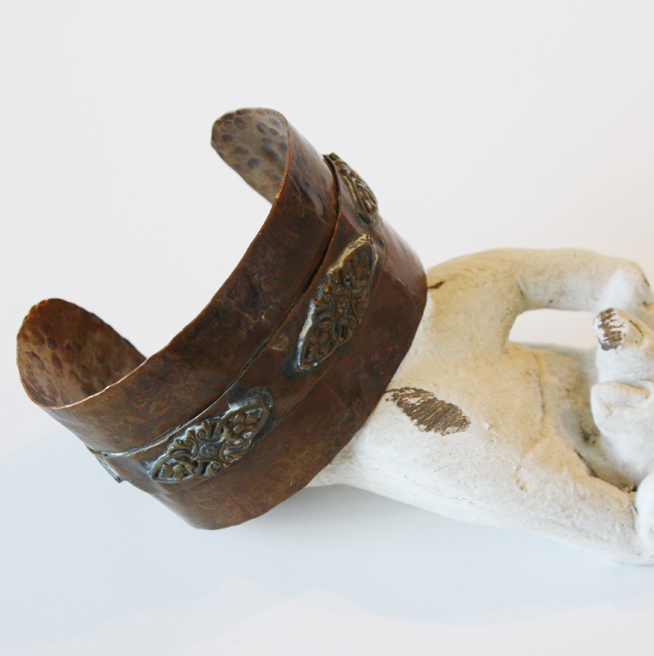 it is a one of a kind piece handmade and just devine. The patina is wonderful and will only get better with age. 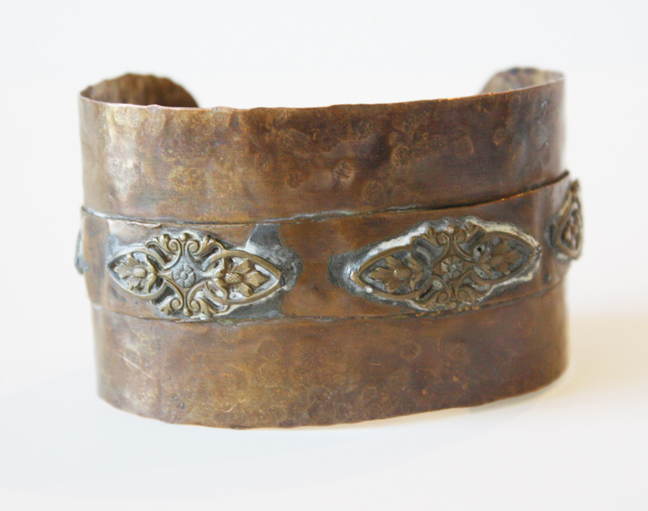 It fits like a cuff and looks beautiful worn with jeans or dressed up for a night on the town. the perfect piece to add a touch of vintage flair to your jewelry wardrobe.